Taking screenshots is a piece of cake – press command + shift + 4, drag around the area you wish to capture (orcommand + shift + 3 for a grab of your entire screen), and you’re good to go. 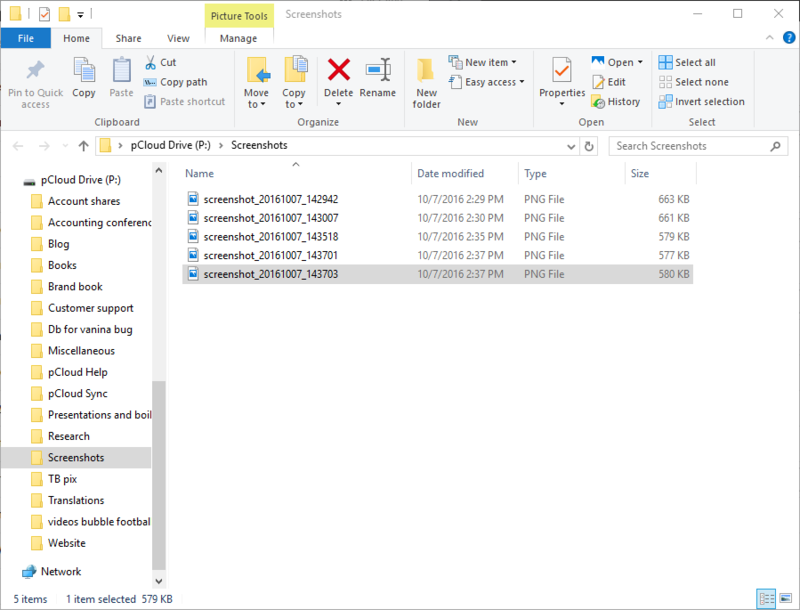 Windows users have it even easier – they press the PrntScr for the whole screen (or Alt + PrntScr for a selected window) and then save the ready screen grab. But what about sharing the image, you may ask? The answer to this, as to many other things in life, is pCloud. 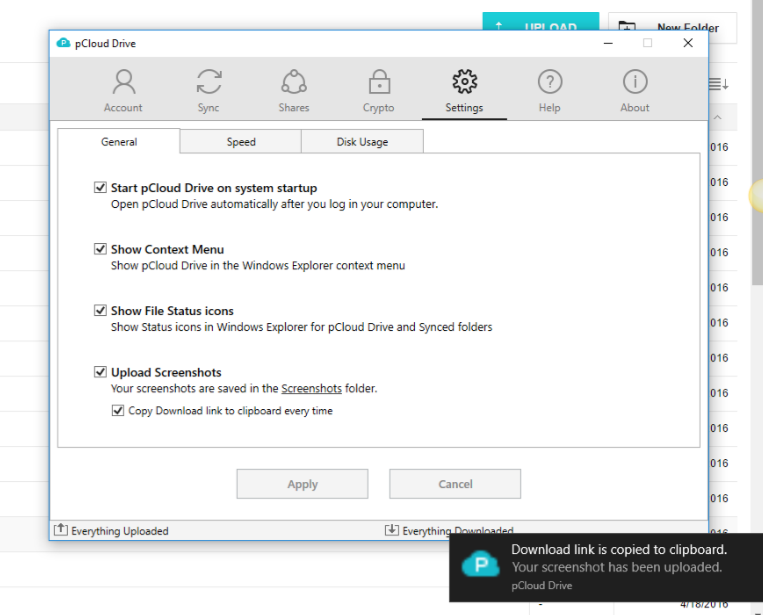 Just yesterday we rolled out a new version of our desktop app, pCloud Drive. With it, sharing a screenshot is easier than ever – we are practically doing everything for you, and all that’s left for you to do is paste a link into an email, messenger, on social media or wherever you find suitable. Click on “Enable screenshot saving” and we will allow the functionality for you straight away into a “Screenshots” folder we’ll create for you. Of course, you can also go to your Drive settings where you can fine tune your preferences. 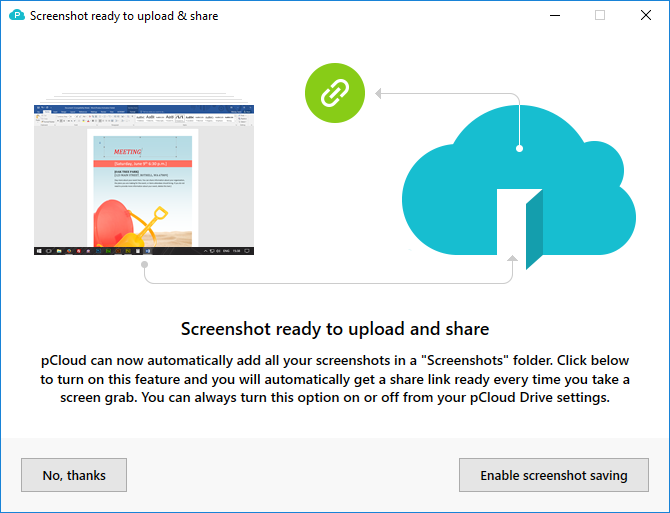 If you decide not to opt in for the link generation functionality, you can still share the screenshot by going to the folder, locating it, then using the standard sharing capabilities of pCloud Drive. See? So easy, and as we promised – we would do all the work for you. All you have to do is grab awesome images and share them with the world (or just your friends and family, it’s up to you). What do you think of this functionality of ours? Let us know in the comments or give us a boost by sharing this article on social media!